Trees of any kind are a long-term investment so it’s worth taking the time to choose the perfect location and invest in the proper amendments to ensure the success of your new addition. Fruit trees in particular need a carefully cultivated environment to not only grow, but to produce fruit year after year. When planning for your fruit tree or an entire orchard, there are several things you should take into account. You may see moderate success with any location you choose, but if you want to give your tree the best chance at a long and healthy life, selecting the prime location is one of the best time investments you can make. First, look at the site itself. It should receive mostly full sun, meaning eight or more hours per day. In addition, the site should not be at the top of a hill. Unsheltered and open areas leave the fruit tree susceptible to wind and cold damage. Also make sure your tree isn’t sitting in the lowest portion of your yard where dropping wind currents can freeze them and standing water, especially when frozen, can damage the roots. Once you've got the area picked be sure to fix drainage problems that might be present now. It'll be a lot easier to repair the damage drainage issues can cause before your tree is in place, in the long run your fruit tree will never be happy with constantly wet feet, especially if it leads to disease. Remember that not all trees require a vast space. Dwarf varieties might be an option. 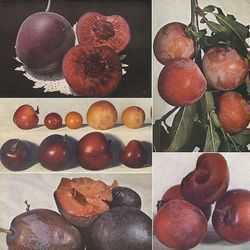 There are also potting trees,such as Meyer lemons or figs. These offer some flexibility to perhaps grow an indoor fruit tree or get a backyard tree with fewer constraints. When you’ve chosen your site, it’s time to prepare for the arrival of your fruit tree. Suppress weeds in the area and treat for nematodes and fungi if necessary. A ground cover can help maintain balance under your fruit tree. Grass, rocks, and bark are all options to consider. The earlier you can plant grass the better so that the area is well established. At least one year in advance is recommended. 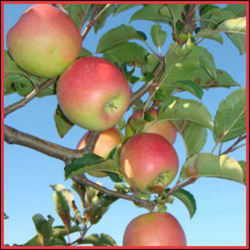 In general, fruit trees prefer well drained, aerated, loam soil. Each hole should provide at least three feet of depth with freshly-churned and amended soil. 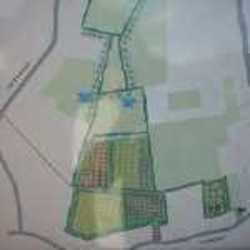 Ideally, the site should be tested and monitored for a few years before planting to give a full portrait of the seasonal changes in weather, sun rotation, erosion, fertility, and water absorption. A quicker way to create the best soil conditions is to take a sample to your local extension office. With a quick test, they can inform you about the make up of your soil and you can amend it accordingly. It’s easier to amend the soil before planting than at any other time during the fruit tree’s life so make the extra effort at this point. One of the most important things you can do for your fruit trees is to provide them the proper spacing for prime growth. Research the maximum potential size of your tree or trees and plan accordingly. While there are some tree species that don't mind rubbing elbows a bit, any tree that is cramped and squished won't perform as well as possible or yield the best fruit. Also consider the plants directly beneath and around the tree. Some weeds harbor disease that could spread to the trees. Remember that the branches may create a dark shadow on everything around it so only place carefully selected shade lovers below a fruit tree. In season, fruit will drop around the area so allow for easy pick up. Also allow room for ladders and other equipment you might need during harvest. If you plant a row of fruit trees, stretch the row from north to south since they receive better sun coverage than those planted east to west. If you’re going to invest in a fruit tree, be sure to select a quality stock. Research the tree you buy and look for virus-tested fruit trees with a healthy root system and young branches. Grafted trees have grown in popularity due to their ability to offer variety within the space of a single tree. If you think this might fit the bill for you, carefully consider each type of fruit it should produce. In the end, you will do your research, but rely on the expertise of your local nursery owner who specializes in plants that thrive in the region. Keep in mind that some fruit trees need a partner in order to pollinate while other varieties are self-pollinating. When it is finally time to plant, timing makes a difference. If you live in a mild climate, you may be able to plant in the fall. However, most trees should be planted in early spring after any threat of freezing has passed. The first year is pivotal for the long-term success of the fruit trees so a long, healthy season with some extra attention gives it the best outlook. Fruit trees can provide decades of visual interest and yummy edibles so take the time to plan appropriately for their prosperity in your yard.